Manali is the famous hill station in the mountains of Himachal Pradesh very near to the northern end of Kullu valley. Manali is also known as the home of seven sages, as it is a mark of great Indian culture and Heritage. One can enjoy the breathtaking views of snow capped hills and river Beas that flows through the region. Instead of natural beauty the cold atmosphere and pleasant environment attracts people from different parts of globe. Vehicle: According to the number of persons. 5 days and 4 Nights: Four nights in Manali. Mornings met our representatives on arrival at Chandigarh airport from Mumbai, and drive to Manali the valley of gods. 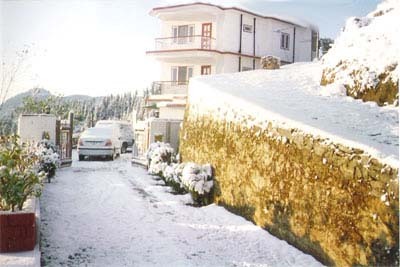 Manali is a combination of natural splendor and rich cultural heritage. Manali is at a distance of 310 Kms from Chandigarh and will take 9:00 to 10:00 hours to reach. Enjoy the Scenic Himalayas and the Beas River from the window of your cab. On the way you can have a stopover at Sunder Nagar Lake, Pandoh dam on river Beas and Kullu if time permits. Night stay will be in Manali. Morning proceed to the 450 years old Hadimba Devi Temple built in the tranquil and serene woods, one of the oldest temple in Manali. Move forward to see Tibetan center and monastery, where the literature and handicrafts of Tibetans are preserved. Enjoy the Club House, Vanvihar, Vashisht village, known for its hot Sulphur springs. In the evening you are free to roam on the mall road and idle time for shopping. Night stay will be in Manali. Morning proceed toward famous place Rohtang Pass where you can enjoy snow fall all twelve months of year. Enjoy the majestic mountains and the glaciers that are seen at their best. You can also enjoy the sledge ride down the slopes and try luck by climbing the little snow hills. While coming back to Manali, there is halt at the Rahalla falls, Solang Valley, Marhi, Ralha falls and Nehru Kund. The Magnificent views and natural beauty are a never-ending source of delight. Night stay will be in Manali. Next morning proceed toward Manikaran which is located in the Parvati Valley between the rivers Beas and Parvati, northeast of Bhuntar in the Kullu District of Himachal Pradesh. It is at an altitude of 1760 m and is located about 45 km from Kullu. Night Stay will be in Kullu. Early morning travel to Chandigarh from Kullu that will take 9: to 10: hours to reach. The cab will Drop you at Chandigarh Bus stand / Railway station / Airport to board flight to Mumbai.